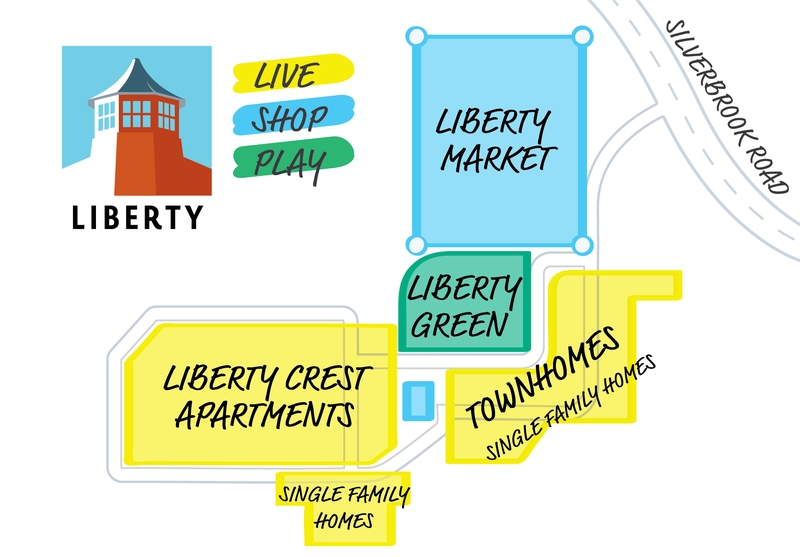 Each apartment home at Liberty features a unique floor plan, rich with restored historical elements and luxurious, condo-grade finishes. Prepare meals on your granite counter tops paired with custom maple cabinetry and stainless steel appliances. Relax in your living room with expansive windows, natural light, exposed brick walls, and polished concrete floors. The joy is in the details – choose from multiple finishes to customize your apartment to your tastes and make it truly feel like home. 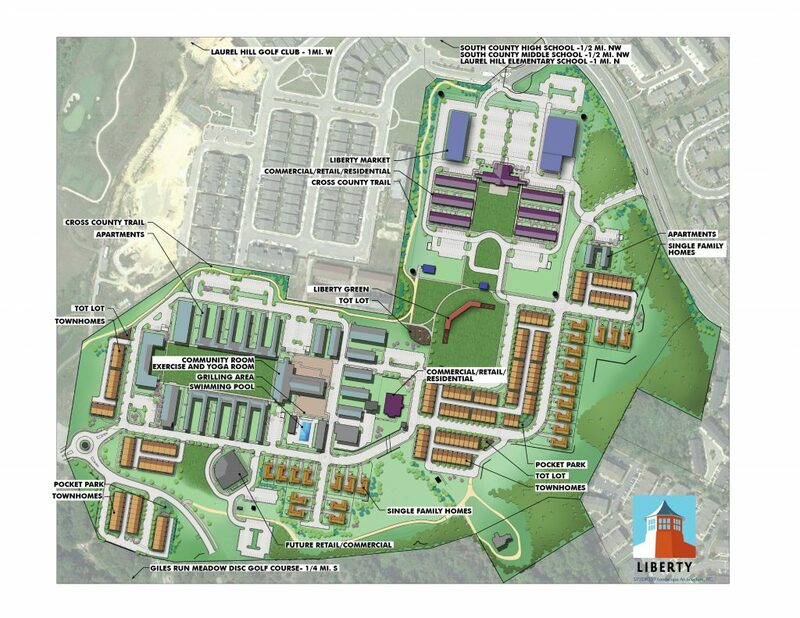 Liberty Market will bring up to 40,000 SF of new and distinct retail options to Liberty, anchoring it as Lorton’s vibrant community hub. Combining the best new construction with creative reuse of existing buildings, Liberty Market will feature a unique collage of small shops in a pedestrian-friendly atmosphere with sophisticated retail and dining options. Well-curated, authentic, and respectful to the historical character of the property, this new retail destination will boast the fresh retail conveniences and dining options that the rapidly growing neighborhood deserves. At the heart of every community is a gathering space, a place where residents, visitors, families and friends meet up for events, holidays, or just to spend time together outdoors. Centrally located Liberty Green is an open green space for all of the community to enjoy. In a former life this two acres of space was the baseball diamond for the Reformatory. Plan on creating many wonderful memories as this green space will be home to various community-driven events such as concerts, family movie nights, and farmers’ markets. Sign up for availability updates!